Insert a celery stick into the top of each clementine. Insert pointed end of chocolate chips into the top portion of each banana to resemble eyes and a mouth (3 chocolate chips per banana). 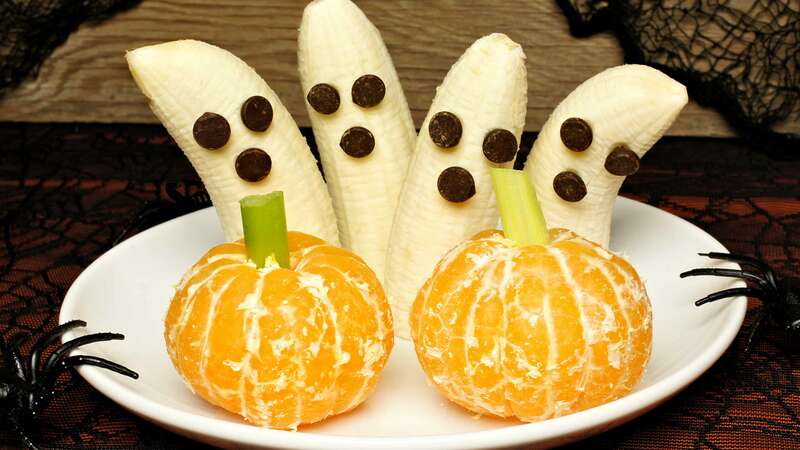 Arrange banana "Ghosts" and clementine "Pumpkins" on a plate and serve immediately.